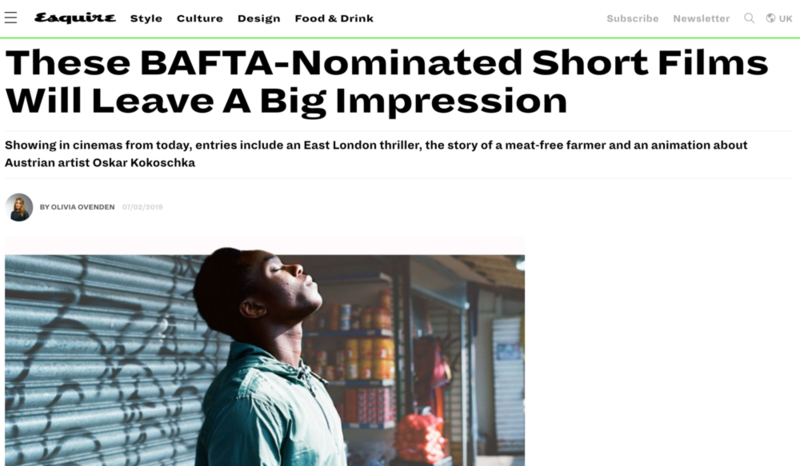 Esquire reviewed the BAFTA-nominated shorts, naming Wale as its favourite. Read review in full here. We had a lovely review in View Of The Arts this week from Sanja Struna. Have a read here. 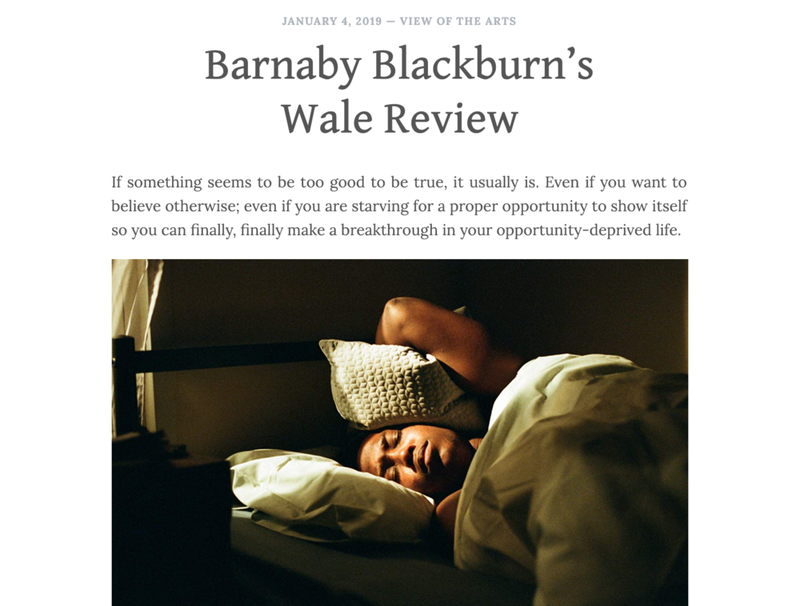 Discover Hollywood’s Valerie Milano spoke with our director, Barnaby Blackburn, about his inspiration for Wale and his motivations as a filmmaker. Read the full interview here. 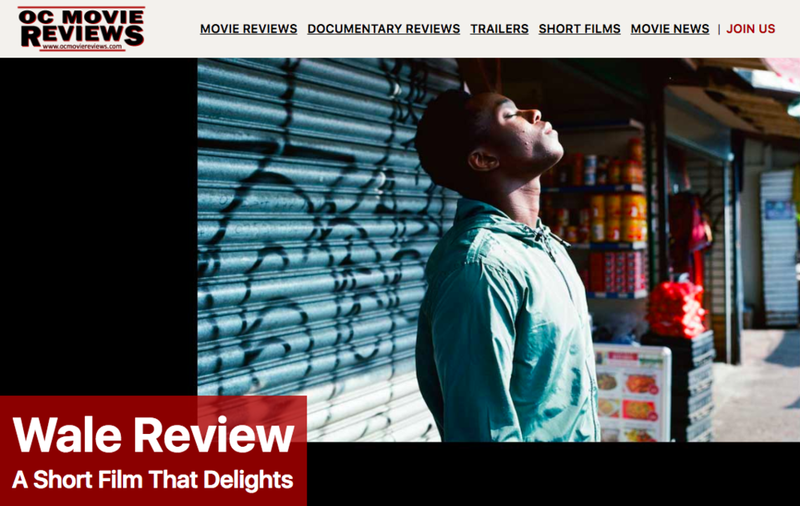 Laurie Delaire wrote about ‘Wale’ in OC Movie Reviews this week with high praise for Raphel Famotibe’s performance, Luis Almau’s score and Barnaby Blackburn direction. Read the full review here. Barnaby sat down with Indie Activity this week to talk everything from writing process to shooting difficult scenes to marketing the finished film. Check out their chat here. Barnaby recently chatted with Film Debate to discuss all things Wale including the inspiration for the film, the casting process and the director’s influences as a filmmaker. Read it here. Check out our Instagram page @walefilm. We'll be posting film stills, behind the scenes images and all sorts of updates about the film as we finish the film and enter into the festival circuit. We wrapped the last of our 5 day shoot today. It's been an incredible last week with so many people putting in an extraordinary amount of work throughout. Huge thanks to all the cast and crew members who created such an electric energy on set, and once again to all our supporters who made this film a reality. Now we head into the edit where the real work begins! 28 days ago, I asked you guys to help me raise £16,000 on Kickstarter to bring my first short film to life. In the time since, the amount of support that me and the team have had has been truly staggering. It’s humbling to have so many people have faith in something that is yet to come to fruition, and it inspires us to create something extraordinary. So, thank you to everyone who backed this project for believing in us. This film is yours.